Dual-Private Readings are for two people (related or unrelated) and are held at Kym’s studio in Collingswood. During this 60 minute session, two individuals will sit with Kym while she channels spirit and delivers messages from those who have crossed over. She may also discuss things that she hears, sees, and feels that pertain directly to one or both of the individuals present. Due to the unique nature of this type of reading, each individual is not guaranteed to make a connection or receive a message. Clients may bring up to 4 photos total to the reading, which may contain individuals who are living or who have crossed over. Dual Private Readings are a combination of both psychic and mediumship. *A $100 non-transferable, non-refundable deposit is due at the time of scheduling via credit or debit card in order to secure the date/time of service. Individual Private Readings are for one person at Kym’s studio in Collingswood. Private Readings are a combination of both psychic and mediumship. Throughout the session Kym may channel spirits who have crossed over and deliver messages she receives. She may also discuss things that she sees, hears, and feels that pertain directly to the individual. Clients are able to bring up to 3 photos of people (who are living or who have crossed over) or of places/things about which they have specific questions. Photos can be hard copies or on a cell phone. Phone Readings are done over the phone in 30 minute sessions. Your session can be either Psychic OR Mediumship – your session must be confirmed prior to booking. Before the session, Kym allows you to send photos pertaining to the reading. 1 photo must be of yourself and the other 2 can be of people who are living or who have crossed over, or places or things about which you have questions. For this type of reading it is helpful to have specific questions prepared ahead of time that focus on a certain area of life, i.e. family, health, career, relationships, etc. (you do not need to send these to Kym). Kym will discuss things that she hears, sees, and feels during the phone reading. She will also utilize the photos in order to address any specific questions, or to communicate with those who have crossed over. FaceTime Readings are available upon request. *Phone Readings are paid in full via credit or debit card at the time of scheduling in order to secure the date/time of service. Urgent Readings take place at Kym’s studio in Collingswood, over the phone, or via Skype. To schedule an urgent reading, please call 856-848-4580 or email info@kymdurham.com. A member of Kym’s staff will get back to you within 24 hours. Urgent readings are scheduled within 7-10 business days. *Urgent Readings are paid in full via credit or debit card at the time of scheduling in order to secure the date/time of service. Mediumship Circles take place at Kym’s studio in Collingswood and are scheduled for 60 minutes. These sessions are for 3-5 related, Family Members, who are looking to connect with their loved ones who have crossed over. During a Mediumship Circle, Kym will channel spirit and deliver messages she receives. Clients may bring up to 3 photos and/or small metal objects from those with whom they hope to connect. Mediumship Circles are a way for families to receive healing messages and to find peace in knowing their loved ones were able to step forward. *A $100 non-transferable, non-refundable deposit is due at the time of scheduling via credit or debit card in order to secure the date/time of service. Everyone in the group must be over 18 years of age. Spirit Circles take place at Kym’s studio in Collingswood. She will meet with 5 to 8 (max) individuals who do NOT need to be directly related. During this all-en compassing psychic /mediumship group session each person will be able to ask one to two questions. Kym will channel “Angels in the Outfield”, provide guidance, and deliver messages from loved ones who have crossed over. This is an intimate setting where spiritual connections may help bring peace and comfort. *A $150 non-transferable, non-refundable deposit is due at the time of scheduling via credit or debit card in order to secure the date/time of service. Everyone in the group must be over 18 years of age. Please click the following link to view our Policies and Disclaimer Page. Gift Cards are available for purchase for each of Kym’s services offered. Gift cards are non-refundable and non-transferable. To purchase a gift card please email us at info@kymdurham.com or call us at 856-848-4580! Kym Durham Live “Welcome to my World” is a gallery style event that is held at the Collingswood Community Center. During this live event, Kym welcomes you to see what it’s like to be part of “her world.” She shares details about her journey as a medium and showcases her unique abilities. It is an opportunity to watch Kym up close, in a small intimate setting, as she connects with spirit, channels loved ones, and delivers their messages to members of the audience. Although not everyone is guaranteed to receive a direct reading, many have shared that this is a positive and enlightening experience. Please check Kym’s website and social media sites for the most up to date information about how to reserve a table. Dinner with the Dead is a live event hosted at some of Kym’s favorites restaurants. It is an evening of mediumship, good food, and uplifting experiences. Throughout the evening, Kym showcases her unique abilities by channeling spirit, communicating with loved ones who have crossed over, and delivering healing messages to patrons. Kym is organizing a series of classes and workshops designed to help others develop and understand their own psychic intuition and abilities. As part of the classes, Kym will share her journey as a psychic medium, and offer a variety of techniques in order to help open one’s self to their own psychic and intuitive abilities. These classes will be held at Kym’s studio in Collingswood. More information coming soon! Kym is available, upon request, to be a guest speaker for private speaking engagements and lectures. 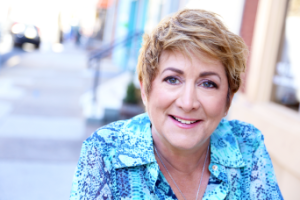 She has studied with world renowned mediums, conducted classes and workshops on topics related to mediumship, psychometry, meditations, opening one’s psychic self, and more. To book Kym for a private speaking engagement or a live mediumship event, please call 856-848-4580 or email info@kymdurham.com.